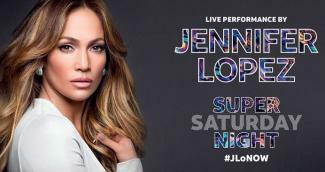 AT&T* is bringing in global music superstar Jennifer Lopez to headline the DIRECTV NOW Super Saturday Night concert on Feb. 3, the night before the Big Game. The performance will air live for the first time ever on AT&T AUDIENCE Network and on DIRECTV NOW. For the 13th year, Super Saturday Night will feature one-of-a-kind fan experiences and performances with some of the biggest names in the entertainment world. NOMADIC LIVE! at The Armory in downtown Minneapolis will host this year’s event. Barclaycard presents British Summer Time Hyde Park brings the world's best musical icons to London each summer for a series of shows in the royal park. Today music and entertainment powerhouse Jennifer Lopez revealed details of her highly anticipated It’s My Party Tour, her first ever US headlining tour. Janet Jackson will perform in 56 North American cities between September and December as part of her "State of the World" concert tour. Chris Rock will embark on his first full-scale world tour in nine years when the comedian hits the road on his Total Blackout stand-up tour in 2017. Saturday afternoon's alright for singing, especially if we're talking about superstar Elton John. Jennifer Lopez will be bringing her It’s My Party: The Live Celebration Tour to AmericanAirlines Arena Thursday, July 25th and Friday, July 26th!